We welcome Siusan MacKenzie to the role of inaugural CEO of the Emergency Services Foundation. Siusan begins in the role with solid credentials as a strong and innovative leader with experience in various sectors. Most recently Siusan has been working in the health sector and has had a significant impact on the development of a new and strengthened response to family violence across Victoria’s hospital system. More relevant to the ESF is Siusan’s background in emergency services at CFA where she was the Executive Manager Corporate Communications for a number of years. During this period she led significant national reform including initiatives such as the emergency services partnership with the ABC and the introduction of fire ground training and standards for the media. As a consultant Siusan went on to have a substantial impact on the Victorian construction sector through her approach to organisational development and workplace health and wellbeing. She was also the Vice President of the Work/Life Association for ten years, an organisation which provided professional development for HR managers driving culture change. 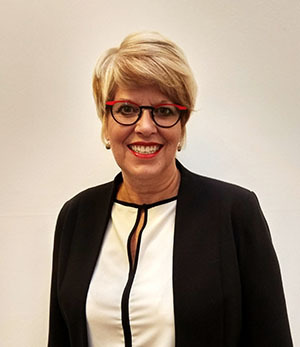 Early in her career Siusan was responsible for establishing Workplace Health and Safety Week and the Workplace Awards, programs which have had a tremendous and sustainable impact on workplaces in Victoria. Siusan is an Award winning communications professional and we look forward to benefiting from her aptitude for developing partnerships and innovative programs in leading the ESF to explore new and exciting areas of work and raising the organisation’s profile.